The following is the transcript of a speech that was given by James l. (Jim) Edwards, Executive Director of the CIADA at the Ribbon Cutting Ceremony at Frank Myers Auto Maxx of High Point on Thursday, April 24th, 2008 at 10:30am. Jim titled it "Man on a Mission". - "For those who may not know Tracy Myers, I'd like to suggest that he's a man on a mission. Oh sure, he's a businessman who intends to make a profit from his businesses and a boss who intends to mentor his employees and a father who intends to provide a model for his children. He's that and much, much more! Tracy has been on a mission for nearly 15 years to change the landscape of the used vehicle marketplace. More specifically, his mission is to erase, whenever possible the image of the sleazy, greasy used car salesman! While not an impossible task, I do liken it to placing a human settlement on the planet mars! In his mission, Tracy first undertook a process of personal self-development and improvement. To that end, you can bet your last dime that when an educational opportunity presents itself, Tracy will "partake". He adheres to the notion that knowledge is power and as we witness where Tracy is positioned in our business, one can easily assume he's used that knowledge successfully. 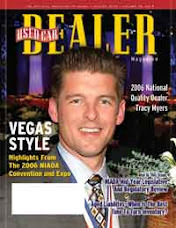 Tracy was one of the very first Certified Master Dealers accredited by the National Independent Automobile Dealers Association and is one of the less than two hundred nationally with that prestigious credential. Those in our business recognized Tracy as a rising star and in 2005 he was named the Quality Dealer for both North and South Carolina by a panel of independent judges; beating out some very other qualified nominees. With that award in hand, Tracy became his association's national nominee for the National Quality Dealer Award! And by golly, a panel of industry experts and industry academics picked Tracy for this industry's highest possible honor! But Tracy just won't quit. He now stands as a nominee by Ernst and Young as the National Entrepreneur of the Year...that announcement is less than two months away and we wish Tracy well. Tracy shirks no duty but seeks no fame. I'm told that those who don't seek recognition are ore likely to be rewarded with it and Tracy is a stellar example of that. His business acumen, his professional demeanor, his business morals and ethics rise far above the popular image of a used vehicle dealer. He's a model for the industry, a model to his peers and a genuine industry heavyweight. I'm proud that Tracy allowed me these brief minutes to comment on his successes. 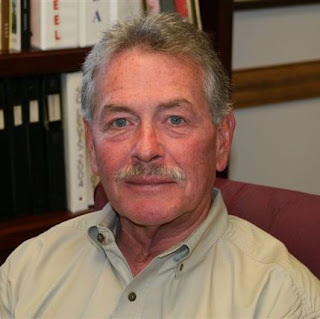 On behalf of the elected leadership of CIADA, our Professional Staff and the membership, we congratulate him on his new dealership location and wish him many well-deserved successes."